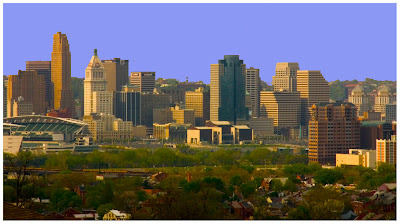 In 2008 UrbanCincy was honored to not only be considered for the best blog in Cincinnati, but actually finish in the Top 5. The blog was nominated by CityBeat’s staff in 2009, and is again in 2010. It’s a great honor to even be considered and I’m truly thankful to all of the readers out there who enjoy the hard work and hours put in by myself and UrbanCincy’s dedicated team of writers: Dave Rolfes, Jenny Kessler, David Ben, and Travis Estell. It is you, the reader, that keeps us going and keeps us motivated to do the work we do. UrbanCincy has been nominated for best Blog and Website, and I have personally been nominated for best Local Activist and Journalist in the 2010 Best of Cincinnati Awards. I would like to encourage you to go out and vote for all those great businesses, places and people that make Cincinnati’s urban core great. Thanks, and here’s to a great year ahead.